We only rent to craftsmen, fitters, business travelers and sales representatives. 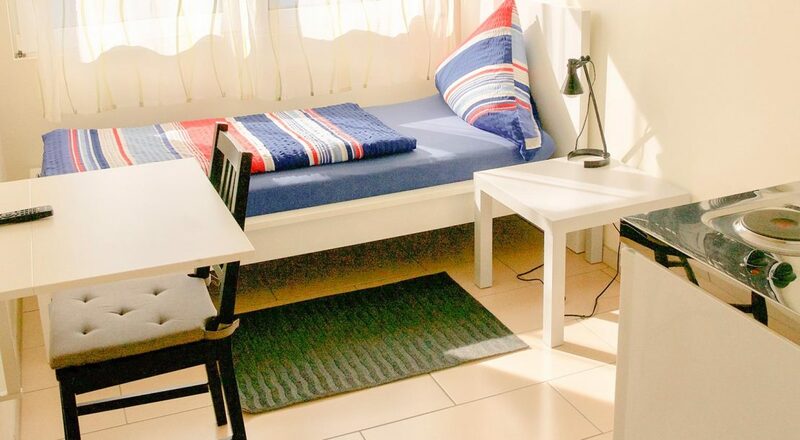 If you are looking for an affordable and value-rich accommodation with good traffic connections for your stay, then you are perfectly fine with us! Our facilities in the industrial area at Neumalsch are located between the B3 and B36 and near to the highway, allowing for a great reachability from Karslruhe, Ettlingen, Rastatt and anywhere else! We currently offer 2 categories of rooms so every guest can find an accommodation that fits his needs and budget. By clicking on "Show all rooms", you will get an overview of all our rooms. Triple room with a mini kitchen and a bath, TV, WiFi and modern furnishings. 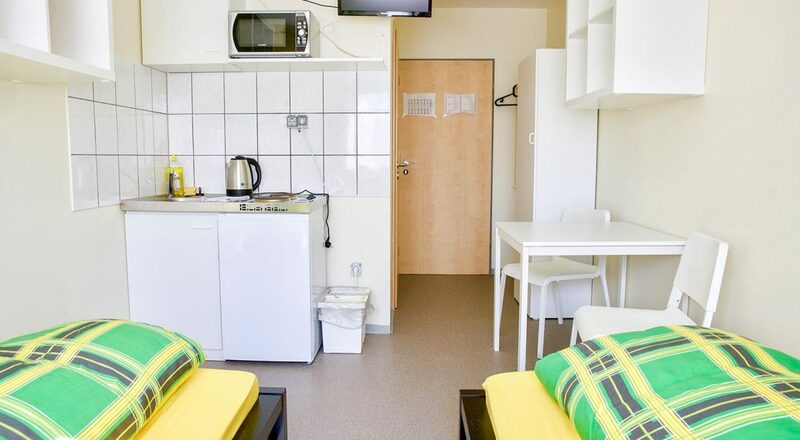 Single room with a mini kitchen and a bath, TV, WiFi and modern furnishings. 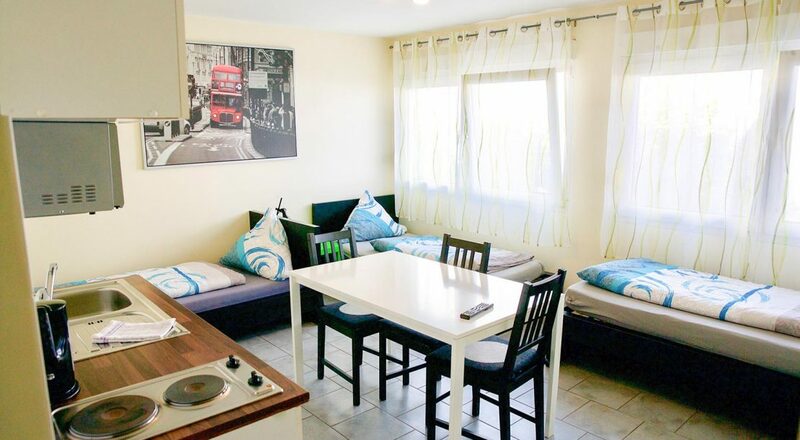 Double room with a mini kitchen and a bath, TV, WiFi and modern furnishings. For even more comfort and enjoyment during your stay at our pension, we have collected some of our offerings at the following link. 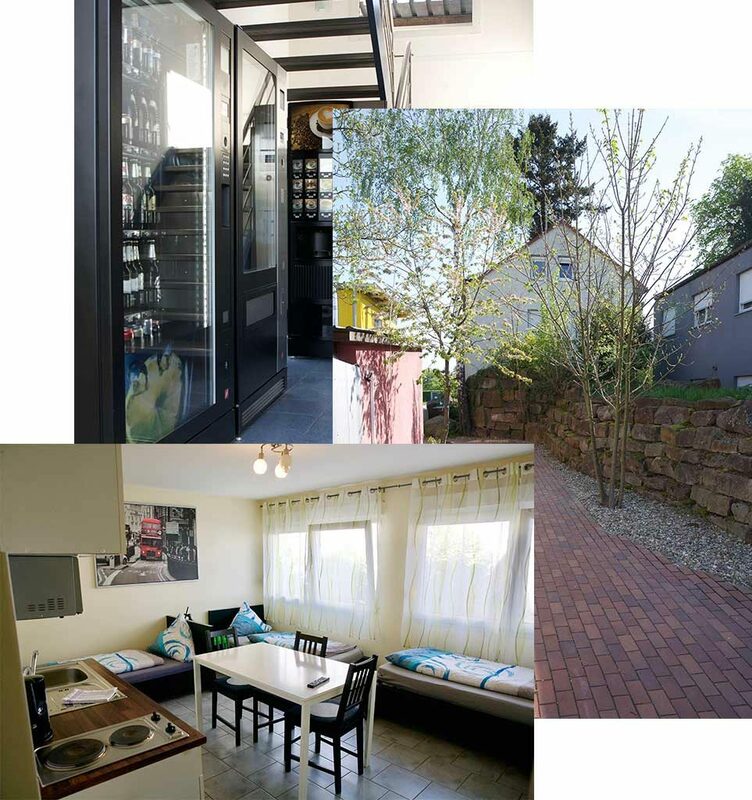 No matter if it's laundry, foosball, darts or a beer bar you are looking for, you will find it at Ulli's Monteur Pension.